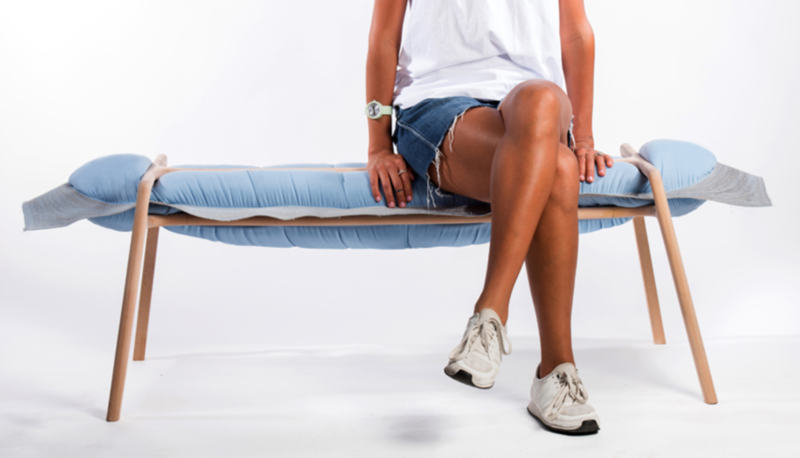 Industrial designer Idan Moskona experiments with materials including polyurethane, different textiles and wood to create sturdy and unique inflated furniture. As part of his project, Moskona injected polyurethane into an array of different fabrics, some loosely woven, and some tightly woven. Playing with dyes, dimensions, and saturation, Moskona was able to create a wide variety of designs that look like a kind of free-form sculpture. For the bench shown above, a spandex fiber fabric was first set into a beech wood frame. Then, the polyurethane was pumped in and allowed to expand. The final result is functional, comfortable and modern looking.